A skeleton of a Viking has been discovered by archaeologists at Llanbedrgoch, Anglesey. 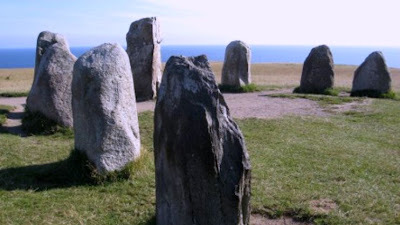 Scientists from Amgueddfa Cymru – National Museum Wales, who made the discovery believe it will shed new light on the interaction between Celtic, Anglo-Saxon and Viking-age worlds operating around the Irish Sea. 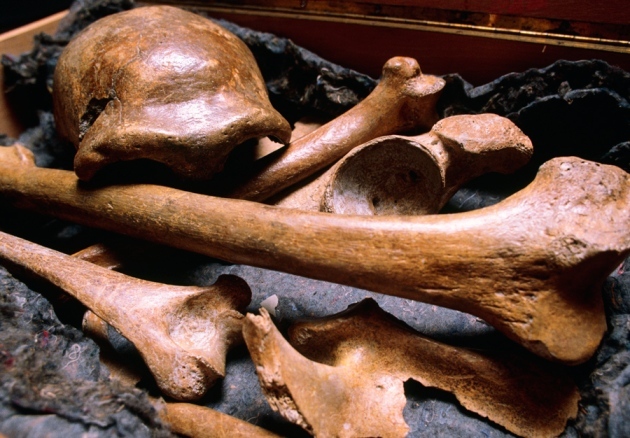 The skeleton find is an unexpected addition to a group of five (two adolescents, two adult males and one woman) discovered in 1998-99. Originally thought to be victims of Viking raiding, which began in the 850s, this interpretation is now being revised. 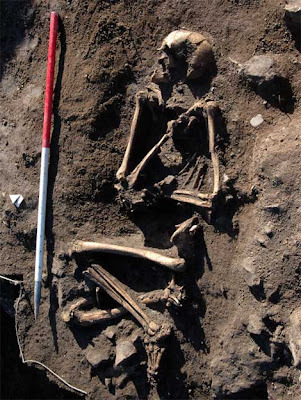 Tests by Dr Katie Hemer of Sheffield University indicates that the males were not local to Anglesey, but may have spent their early years (at least up to the age of seven) in North West Scotland or Scandinavia. The Llanbedrgoch site was discovered in 1994 after a number of metal detector finds had been brought to the museum for identification. These included an Anglo-Saxon penny of Cynethryth (struck AD 787-792), a penny of Wulfred of Canterbury (struck about AD 810), and three lead weights of Viking type. It is a tale of macabre fascination and ghoulish enterprise: the rampant and horrific practice in early 19th-century London of snatching dead bodies from fresh graves - or in some cases, committing murder - to use the corpses for anatomical dissection. Nearly two centuries later, these stories still serve as a reminder of the tension between medical need and bodily autonomy. 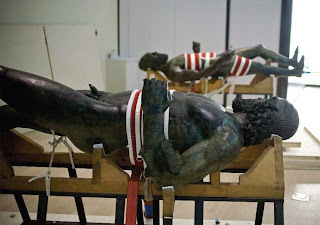 Now an exhibition at the Museum of London adds new archaeological evidence to our understanding of the “resurrection men”, the anatomists they supplied and the occasionally blurry distinction between the two. By balancing this evidence with a careful examination of the social atmosphere, growing field of surgery and grimly simple equation of supply and demand, Doctors, Dissection and Resurrection Men offers fresh insight into a discomfiting legacy. “Whatever we may think of what happened at the time, there is that question: was it for the greater good?” asks Jelena Beklevac, curator of human osteology at the museum. Rome, October 19 - Investigations into the activities of four tomb raiders in the Alban hills near Rome have led to the discovery of a previously unknown site containing ancient Roman votive offerings. The ex-votos date from the fourth to the second century BC and include life-sized statues and depictions of parts of the human anatomy in terracotta offered to the ancient Roman goddess Juno. Police caught the tomb robbers in action as they were stealing the devotional objects from a natural cavity in a tufa wall near Lanuvio and Genzano that did not appear on archaeological maps of the area. After 18 years, 20 series and more than 40 specials, Time Team will air its final series on Channel 4 in 2013. Further one-off specials are planned for at least into 2014 and the series will continue to be repeated across both More4 and Channel 4. Channel 4 will increase its focus on new and innovative history programming; with new commissions with exclusive access to archaeological discoveries including the recently announced The King in the Carpark: Richard III and the brand new The People of Stonehenge (w/t), The Hood (w/t) - as well Attack of the Zeppelins (w/t) with Hugh Hunt. Head of Factual Ralph Lee says: "I am incredibly proud that, as well as providing hundreds of hours of education and entertainment on Channel 4, Time Team has invested, over and above production costs, more than £4m in archaeology in Britain over the past 18 years. 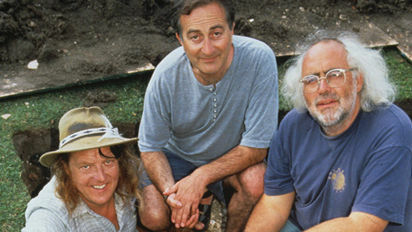 Time Team will continue to be on our screens for at least a further two years and we are discussing other ideas around archaeology with Tim Taylor, Time Team's creator and the production team behind it. Fire crews in York have freed a lorry after it became stuck under one of the city's medieval gateways. 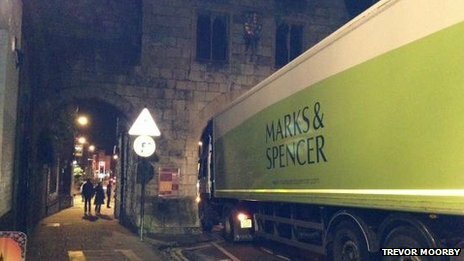 The Marks and Spencer lorry was travelling through the central arch of the 12th Century Micklegate Bar on Thursday night when it got stuck. Micklegate Bar is one of four medieval gateways into the city and has a height restriction of 8ft 6in (2.59m). The City of York Council said it had carried out an inspection of the bar and there was no structural damage. North Yorkshire Fire and Rescue said it had cut away a spoiler from the cab of the lorry in order to free it. Rome may not exactly be short of catacombs, but one discovered this week is more deserving of the name than the city's countless other subterranean burial chambers. For Mirko Curti stumbled into a 2,000-year-old tomb piled with bones while chasing a wayward moggy yards from his apartment building. Curti and a friend were following the cat at 10pm on Tuesday when it scampered towards a low tufa rock cliff close to his home near Via di Pietralata in a residential area of the city. "The cat managed to get into a grotto and we followed the sound of its miaowing," he said. Inside the small opening in the cliff the two men found themselves surrounded by niches dug into the rock similar to those used by the Romans to hold funeral urns, while what appeared to be human bones littered the floor. Archaeologists have discovered colorful floor mosaic from the Roman era near the so-called West Gate of Serdica in downtown Sofia. The news was announced Monday by the Mayor of Sofia, Yordanka Fandakova, who visited the archaeological excavations in the company of her Deputy in charge of Culture, Todor Chobanov. The mosaic has an area of 40 square meters and is located in the ruins of a Roman building discovered for the first time between 1975 and 1980 when archaeologists began exploring the site. The works were later abandoned and remained unfinished. Alarmed at the looting of historically valuable shipwrecks in the Baltic Sea, German archaeologists have started attaching underwater signs designating them as protected monuments. 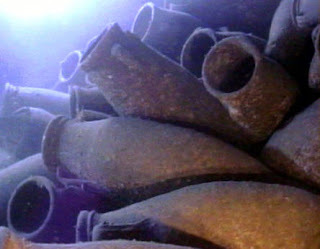 Hobby divers and trophy hunters are damaging a precious maritime legacy stretching back thousands of years, they warn. 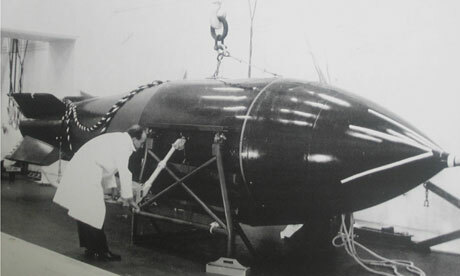 The two-man U-boat was discovered lying at a depth of 18 meters near Boltenhagen off Germany's Baltic Sea coast in 2000. Its plexiglass turret hatch was intact and closed, which prompted authorities to designate it as a war grave because the crew of the vessel, of a type used by the German navy towards the end of World War II to evade Allied sonar detection and sink ships, was believed to still be inside. IF you ever wondered whether you are you descended from the Vikings or the Normans, now is the time to find out. 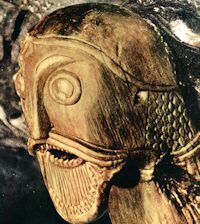 A network of academics led by Dr Catherine Swift of Mary Immaculate College, and Dr Turi King of the Department of Genetics, University of Leicester are using scientific techniques and the traditional tools of the historian in an attempt to identify what percentage of the Irish population are descended from Vikings. Volunteers with certain surnames - including English, Stokes and Noonan, amongst many others - will be tested at Fennessey’s pub, New Street, Sunday, October 21, at 12 noon. “Limerick is a very interesting location for our project as it is known to be a vital Viking trading centre,” said Dr Swift. Stefán Ólafsson of the Icelandic Archaeological Institute and Céline Dupont Hébert of Laval University, Quebec City, are the crew chiefs of a team of archaeologists with the unglamorous job of excavating a garbage dump at Hjalmarvik, an ancient farm on the northeastern coast of Iceland. 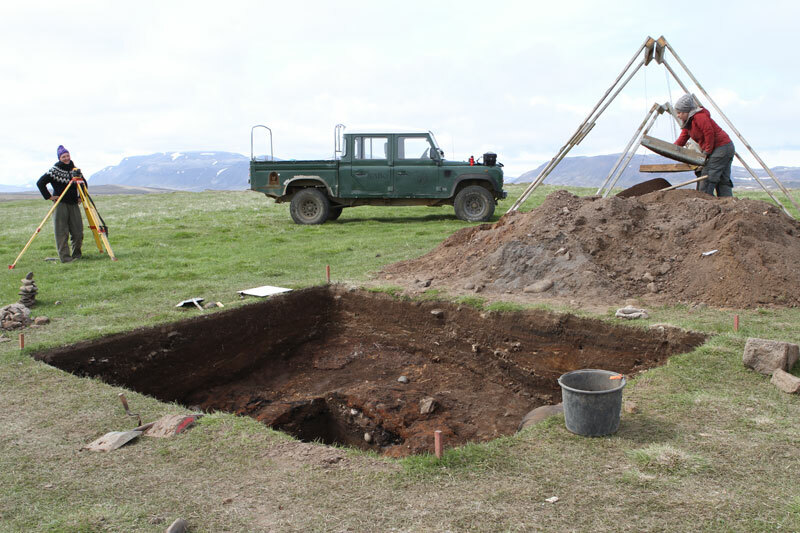 Their approximately 9-by-12-foot excavation trench sits just outside what was a sod-walled farmhouse that may date back to the years shortly after 871, when Iceland was first settled by groups of Vikings from Norway. Today, the remains of the house are no more than a flat spot on the ground overlooking a small bay a few hundred yards to the west. The excavation of the garbage dump, or midden, is revealing a detailed record of life at the farm and provides clues to how its residents handled the severe challenges the island faced during an extended period of climatic disruption. The walls of the trench are striped with orange peat ash, probably discarded when the hearth inside the house was cleaned. Although the crew has uncovered interesting whalebone carvings—some decorated with images and others that were used as gaming pieces—the most common items found in the trench are the discarded bones of the animals eaten by Hjalmarvik’s residents. Laboratory analysis of the bones has not yet begun, but at first glance it looks like most of the food they were eating came from the surrounding ocean. 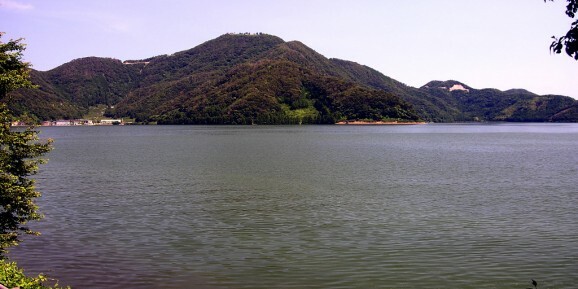 In the first century A.D. Roman army veterans arrived in what is now northern Macedonia and settled near the small village of Scupi. The veterans had been given the land by the emperor Domitian as a reward for their service, as was customary. They soon began to enlarge the site, and around A.D. 85, the town was granted the status of a Roman colony and named Colonia Flavia Scupinorum. (“Flavia” refers to the Flavian Dynasty of which Domitian was a member.) Over the next several centuries Scupi grew at a rapid pace. In the late third century and well into the fourth, Scupi experienced a period of great prosperity. 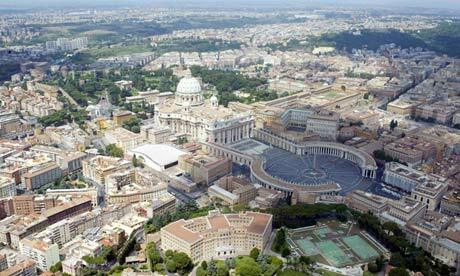 The colony became the area’s principal religious, cultural, economic, and administrative center and one of the locations from which, through military action and settlement, the Romans colonized the region. 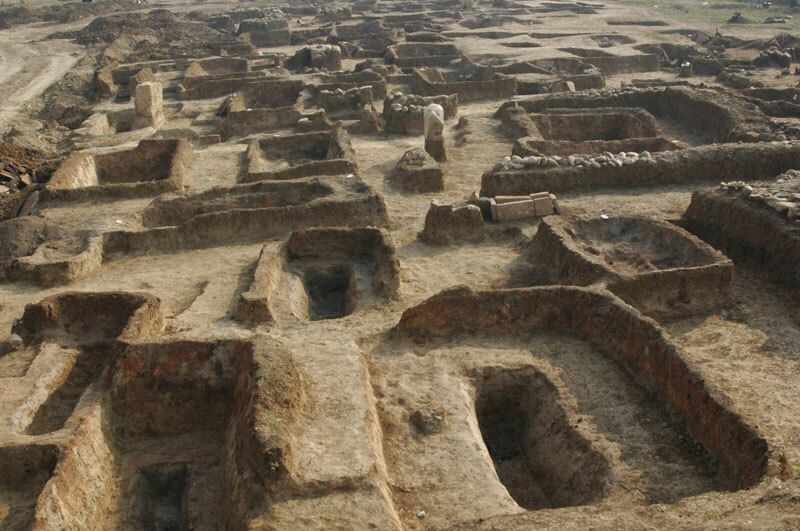 Scupi, which gives its name to Skopje, the nearby capital of the Republic of Macedonia, has been excavated regularly since 1966. Since that time archaeologists have uncovered an impressive amount of evidence, including many of the buildings that characterize a Roman city— a theater, a basilica, public baths, a granary, and a sumptuous urban villa, as well as remains of the city walls and part of the gridded street plan. Recently, however, due to the threat from construction, they have focused their work on one of the city’s necropolises, situated on both sides of a 20-foot-wide state-of-the art ancient road. 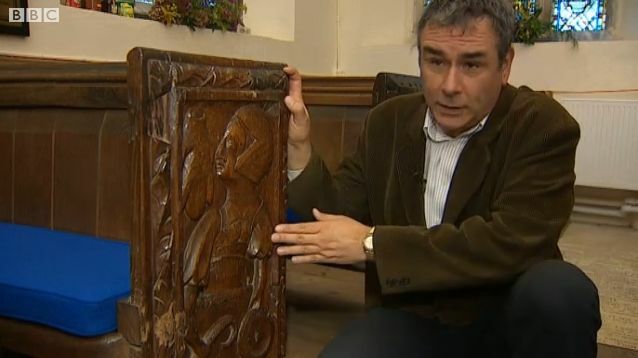 Devon has one of the country's largest collections of medieval church bench carvings, a new study has revealed. Historian Todd Gray, from Exeter, studied the ornate woodwork in more than 600 of the county's churches. The carvings were mostly carried out by local craftsmen hundreds of years ago. The meaning behind many of the carvings is unknown, but some of the designs were created specifically for members of congregations. 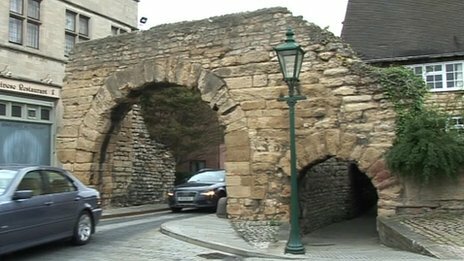 A Roman arch over a road in Lincoln is one of 20 sites in the East Midlands to appear on the 2012 English Heritage at Risk Register. 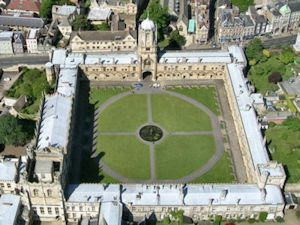 Other sites include Taylor's Bell Foundry in Loughborough and the Chapel of St John the Baptist in Derbyshire. 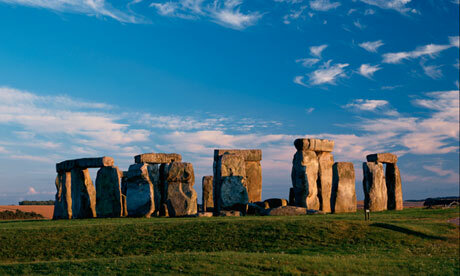 English Heritage (EH) has included Grade II listed buildings for the first time in a bid to attract support. It said being on the list meant a greater chance of securing grants. THIRTY years ago – on 11 October 1982 – the Tudor warship Mary Rose was dramatically raised to the surface, more than four centuries after she sank accidentally during an engagement with the French fleet in 1545. But after three decades of research into the ship and its contents, there is still much that can be learned, especially by the application of new technology, and this is exactly what is happening at the University of Huddersfield, in collaboration with The Mary Rose Trust. 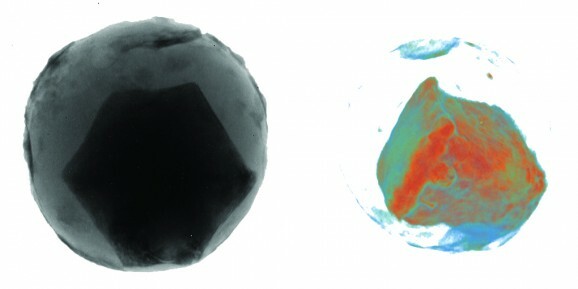 The University is home both to the International Institute for Accelerator Applications and an Arms and Armour Research Group. Their combined expertise is leading to new discoveries about the weaponry and ammunition on board the Henry VIII’s flagship. One of the first atomic bomb stores built in England has joined a bell foundry, a fairground rollercoaster and a tumble of stones which may once have been a monks' kitchen among more than 5,800 important listed buildings and structures which appear on the latest English Heritage at-risk register. Although thousands of buildings have been rescued since the register was first launched in 1998, the list is growing faster than buildings are being saved, a situation worsened by government cuts to English Heritage's funding. In the past year, 318 sites have been saved and removed from the register, but 360 new sites have been added. Producer Beaty Rubens introduces a new, extended series of The Essay on Radio 3 – three blocks of ten episodes stretching in to 2013, the first series beginning on Monday 15th October. I was interested in the Anglo-Saxons – that wasn’t the problem. In fact, I had attended a primary school called King Alfred’s, and even today could sketch you the school logo – a wonky little line drawing of Alfred, seated on a throne, wearing a sort of Anglo-Saxon dress and pointy shoes and holding up a book to show off his passion for education. Which is ironic, really, because education – or my lack of it – on the subject was exactly why I felt so unqualified to produce a 30-part series called Anglo-Saxon Portraits. I knew something about the Celts and the Romans and the Tudors, but the half millennium between the departure of the Romans and the arrival of the Normans was a shocking blank. Perhaps the Anglo-Saxons just weren’t much taught in the 50 years after the War, when the idea of Aryan and Germanic invaders wasn’t all that fashionable. Alexander IV was born to Roxana after Alexander the Great’s death in 323 BCE. They died, poisoned, in a power struggle in 310 BCE when Alexander IV was about 12. Some histories claim that Roxana and Alexander IV had been expelled to Greek Macedonia after the conqueror’s death. 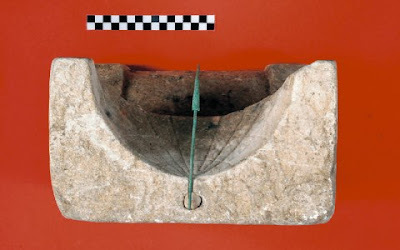 There has been a previous claim for the finding of their tomb, at the Vergina site in northern Greece in the 1970s. The circular enclosure surrounding the tomb is three metres high and its perimeter is 500 metres. 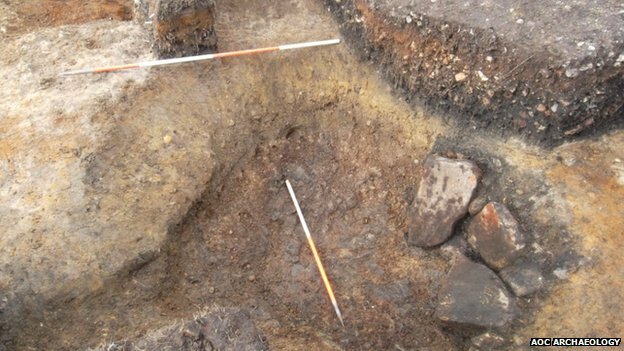 An archaeological watching brief placed by the Dartmoor National Park Authority (DNPA) on a development being carried out within the grounds of St Mary’s School, Buckfast has uncovered some of the area's medieval past. The watching brief condition, which is a standard part of the planning procedure, was requested by DNPA archaeologist Jane Marchand because the area involved lay within the outer court of medieval Buckfast Abbey, and therefore could be sensitive archaeologically. The work involving the creation of a new playground revealed a large rock-cut ditch which formed part of the boundary of this 13th-century outer court. A continuation of the boundary ditch had already been revealed in the 1980s when the present road was cut a little to the north of the site. A MEDIEVAL seal matrix found by a man using a metal detector in Cobham has been loaned to a historical society in the West Midlands until the society can raise £8,000 to buy it. The Stone priory seal matrix, thought to be from the 13th or 14th century, was found on private land in Cobham by Tony Burke and his wife, Veronica. The bronze item is currently on long-term loan to Stone Historical and Civic Society in Staffordshire while the group tries to gather the necessary £8,000 to buy the item for its collection. 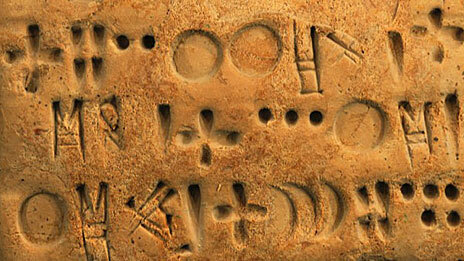 An independent expert said the minimum value of the seal matrix at auction would be around £10,000. But Mr Burke, who joint owns the item with the landowner, said the find was not about the money. “My wife Veronica and I are members of Surrey Archaeology Society and complement this by metal detecting for historical interest,” he said. 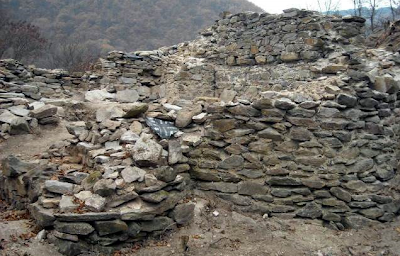 Archaeologists began new excavations at the medieval Urvich fortress 20km from Bulgaria’s capital city Sofia at the beginning of October 2012, with the first finds including silver rings, earrings and bronze and iron personal items, Bulgarian archaeology professor Nikolai Ovcharov said. Urvich fortress is near the banks of the Iskar River in the Pancharevo area close to the road from Sofia to Samokov. The fortress is estimated to date from the 13th century CE, during the time of the Second Bulgarian Kingdom. Ovcharov told a news conference that work was to begin at a large necropolis near the fortress and the monastery. The Victorian archaeologist General Pitt-Rivers is world-famous for his development of modern scientific archaeology, but the earliest collections that he made have never been studied. The Pitt Rivers Museum, where these artefacts are held, has been awarded £76,654 by Arts Council England’s Designation Development Fund to document this important early material. Two ancient Roman shipwrecks, complete with their cargo, have been discovered by Italian archaeologists off the coast of Turkey near the the ancient Roman city of Elaiussa Sebaste. The ships, one dating from the Roman Imperial period and the other from about the sixth century AD, have been found with cargoes of amphorae and marble, say researchers from the Italian Archaeological Mission of Rome's University La Sapienza. Both ships were discovered near Elaiussa Sebaste, on the Aegean coast of Turkey near Mersin, according to a statement issued by the Italian embassy in Ankara. 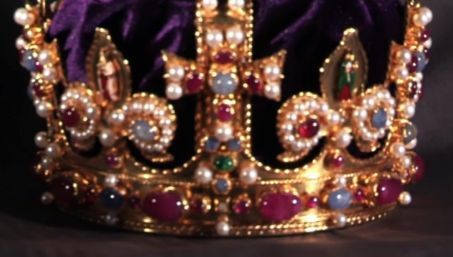 The lost crown of Henry VIII has been recreated in minute detail, down to the last pearl and thumbnail-sized enamelled sculpture, almost 400 years after the original was melted down along with every scrap of royal regalia Cromwell's government could lay its hands on. The crown may have been made for Henry's father, Henry VII, and was used in the coronations of his children Edward, Mary and Elizabeth, and then of James I and Charles I. By then it was a sacred object: a portrait by Daniel Mytens in 1631 – now in the National Portrait Gallery, and crucial evidence for the historians who pored over every surviving image and account – shows Charles I standing bare-headed by a velvet-draped table, on which the crown is shown in scrupulous detail. A project that will reveal thousands of years of Northamptonshire’s archaeology and heritage has taken a major step forward following an announcement by the Heritage Lottery Fund today. The Chester Farm project has been successful in securing a grant of £135,800 development funding, the initial support for a £4.1m HLF bid, following an application submitted by Northamptonshire County Council. The project aims to open up the county council-owned site to the public so that everyone can benefit and learn from this hugely significant historical and archaeological site. The initial funding will enable detailed development work to be undertaken. This will include comprehensive planning for the approach to interpretation of the site, including the innovative use of IT, together with an education and learning activities plan. It will also fund a study into the feasibility of locating a countywide archaeological archives store and public access point on the site. Der römische Denar: ein Euro des Altertums?